We offer childcare for children from newborn to about 3 years old in the nursery downstairs at the 9:30 am Mass. Our volunteers are fully screened and experienced caregivers. Perhaps you’ll consider joining our team of volunteers in this ministry. Volunteering is a great way to meet other parish families! We offer Sunday School during the 9:30 am Mass. Children from approximately 3 – 5 years old are welcome into the classroom (off the nursery) for a lesson based on the Gospel of the day and a related craft. These children stay with us for the entire time that parents are at Eucharist. Lessons are carefully planned by the Children’s Ministry coordinator and delivered by volunteer catechists who have had formation in this ministry. Children from ages approximately 6 – 11 years of age begin the celebration of Eucharist upstairs with their families. The presiding priest will invite these children to join a parent leader for Children’s Liturgy of the Word. Children will go to the Large Hall with the leader to “break open” God’s word ( 1st Reading and Gospel of that Sunday). Children return with the leader to be with their families for the rest of the Eucharist (Liturgy of the Eucharist). Available during 9:30 am Mass. Hospitality is offered regularly at a “meet and greet” time in the large hall after the 9:30am Eucharist. Join us! This innovative approach to the religious formation of children is based on Montessori principles of education. Children from ages 3 – 12 years of age are invited to meet regularly from September to May with experienced catechists. Together, they grow in their faith and in their love of Jesus, the Good Shepherd. In the Fall of 2017 the sessions are on Mondays (starting Sep. 25) from 4 to 5:30 pm. See Coordinator of Youth and Children’s Ministries, Kelly Krause who will be happy to explain, more fully, what the Catechesis of the Good Shepherd is all about. We offer preparation for the Sacraments of Penance (Confession), Eucharist and Confirmation. The Confirmation preparation starts on Sep. 20, 2017. The Sacrament of Confirmation will be celebrated on Sunday Nov. 19th during the 11:30 am Mass. 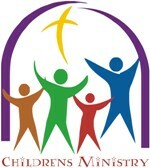 Please see Coordinator of Youth and Children’s Ministries, Kelly Krause for more details.